Despite being rather stable devices, iPhone, iPads and iPod Touches, just like any other gadget, can freeze at any moment. 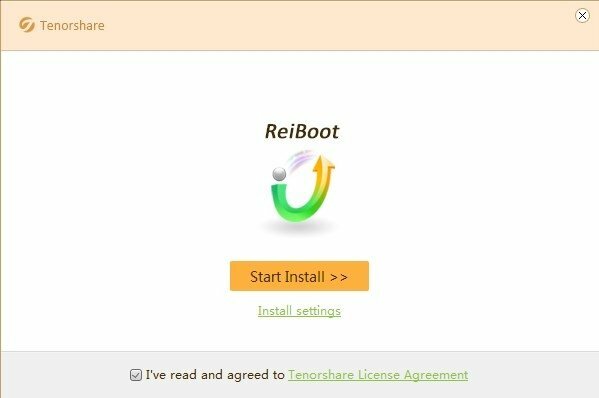 Tenorshare ReiBoot is a Windows program that allows you to access the recovery mode of any Apple device in just once click if you can't manage to boot the system correctly, and without having to go through all the tedious iTunes steps. Forget about iTunes to recover data on your iPhone. Restore the device's firmware when the Home button doesn't respond. Delete your iPhone's password without restoring factory settings. Update the operating system if it freezes. Recover the system after a blocked update on the apple's progress bar. iTunes doesn't recognize the device after an update. If you're fed up of needing iTunes for almost everything, even when your device stops working, a free program like ReiBoot is the solution you need. Allows you to recover iPhone 6, iPhone 6 Plus, iPhone 5S / 5C / 5 y iPad Air 2, iPad Air and iPad Mini 2.3.